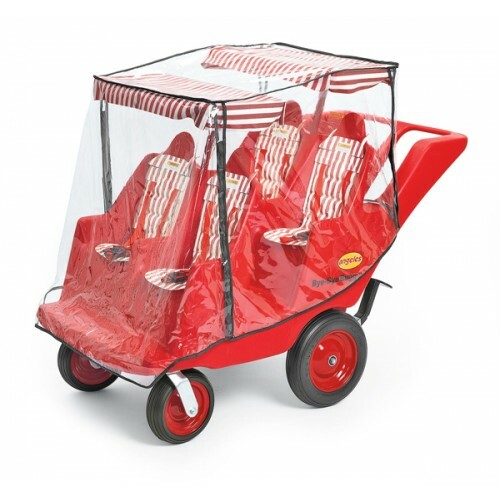 Bye-Bye® Buggy clear fitted vinyl cover protects children from wind and rain. Ventilation holes are provided for comfort. Cover is designed to fit over canopies (sold separately).